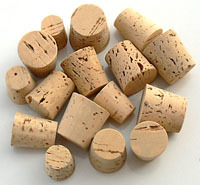 Our Corks are manufactured from 100% natural Cork harvested in Portugal. 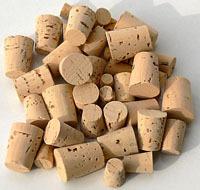 The quality of Corks is measured by the lenticels (small crevices that occur in all natural cork). The fewer the lenticels, the higher the grade of Cork. 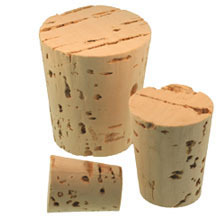 Both grades of Cork will seal dry goods and solids (sand or salt, for example) in a container. If sealing liquids where more secure seal is important, we recommend only using XXXX Premium Grade Corks. Premium Grade XXXX Corks are more expensive, but they are far superior to Standard Corks in mechanical strength, seal, and appearance. 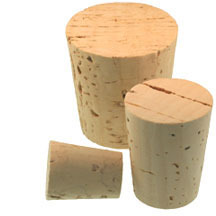 Please Note: Cork sizes & Rubber Stopper sizes are NOT the same. Contains 5 of each size from #0 to #7. Contains 2 of each size from #8 to #15.